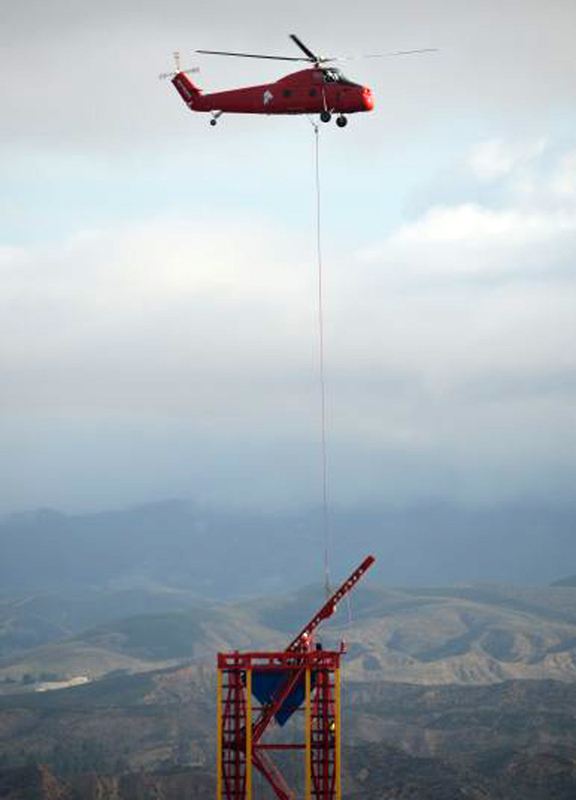 A helicopter hovering overhead often brings a sense of doom and today’s was no different, as a whirlybird defied gravity to lift a beam of steel to the tower that will soon be part of the world’s tallest vertical drop on “Lex Luthor: Drop Of Doom,” the newest ride at Six Flags Magic Mountain, scheduled to open later this spring. 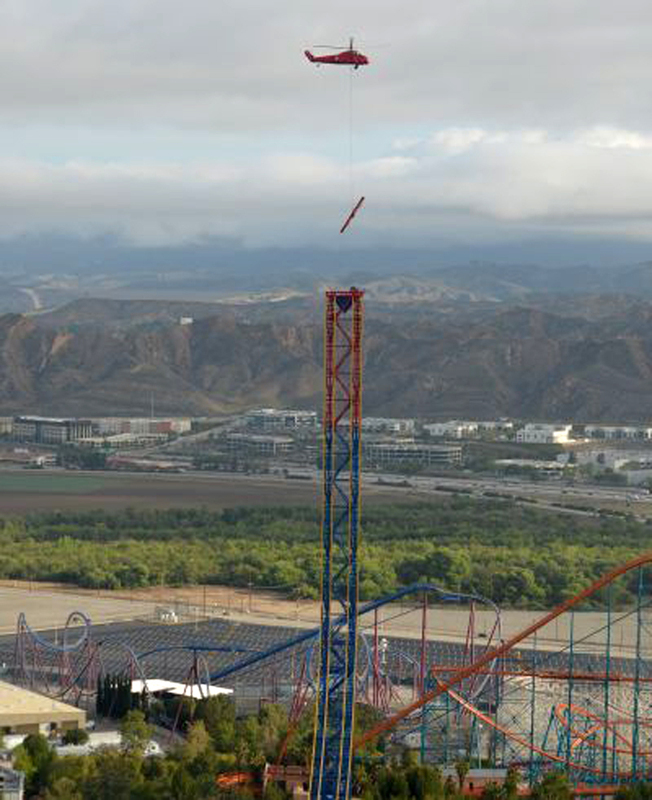 Named after DC Comics’ most dangerously intelligent super villain and Superman’s greatest enemy, the ride will soar 400 feet over the park before dropping riders on a thrilling speedy descent. Fearless riders will be seated, eight abreast, inside floorless gondolas on two vertical tracks flanking each side of the Superman: Escape from Krypton tower. Passengers will be pulled to the top of the tower, experience a brief pause before being released and plummeting 40 stories at speeds of up to 85 MPH. After five seconds of freefall, the gondola will screech to a halt just a few feet from the ground.